High school juniors Layla and Tyler are complete opposites. Sure sheâs a cheerleader and heâs a football player, but she thinks heâs the biggest jerk in the school and he thinks she is too high on her horse to even be worth of a second glance from him. And when the two of them are near one another, sparks fly in all the wrong directions. They are NOT interested in speaking to one another, let alone date. But when Layla unknowingly sends Tyler a smack-down text meant for the girl sending naked photos to her then-boyfriend, Adam, Tyler has no idea itâs Layla and decides to play along. 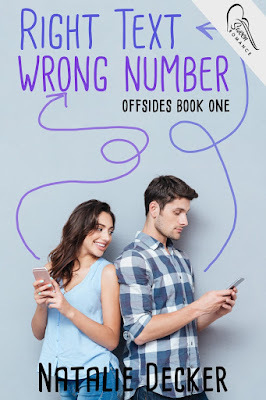 After all, Tyler cannot resist messing with the pissed off girl firing off texts about junk pictures, cheating, and girl code. 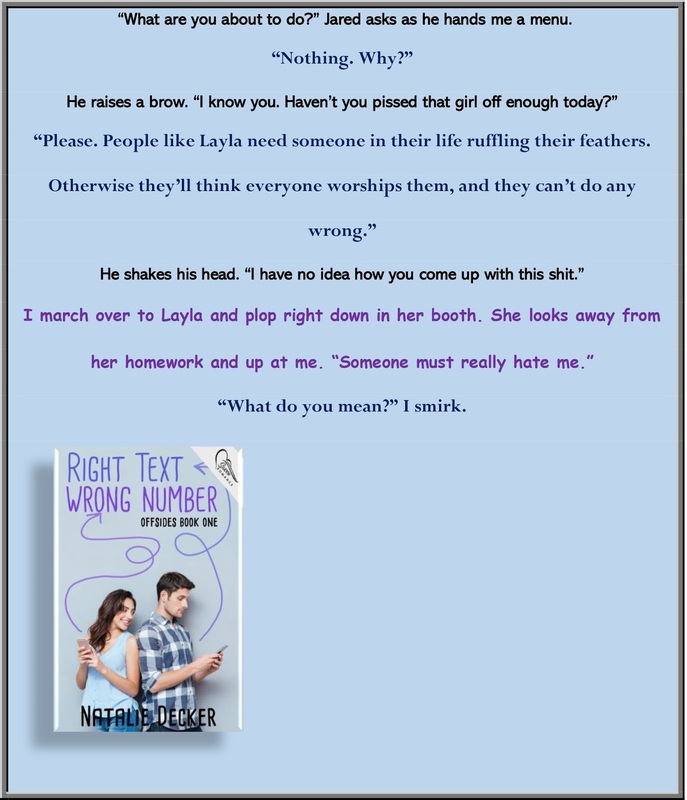 As the fallout from Adamâs sexting scandal plays out in front of the entire school, Tyler and Layla secretly continue to text one another using fake names. But as days and weeks pass, things take a turn for the serious between them, and suddenly, their texts mean more. They both begin to consider revealing their true identity to the other and taking the relationship from texts to dates, then kissing and maybe more. Natalie Decker is the author of the bestselling YA series RIVAL LOVE and NA Scandalous Boys Series. She loves oceans, sunsets, sand between her toes, and carefree days. Her imagination is always going, which some find odd. But she believes in seeing the world in a different light at all times. Avid reader of everything. Sheâs a huge Denver Broncos fan, loves football, and fuzzy blankets. Sheâs a mean cook in the kitchen, loves her family and friends and misses her awesome dog infinity times infinity. If sheâs not writing, reading, traveling, hanging out with her family and friends, then sheâs off having an adventure. Because Natalie believes in a saying: Your life is your own journey, so make it amazing!